DeeJay Reseårch Bio: Since age 13 I have always loved music. I remember hiding my Biggie, Dr. Dre, Jay-z and other explicit albums from my parents when I was little. Over the years my love for music grew, so I decided to start producing my own hip-hop records and artist. Of course money was tight and a protools set was out of my reach. I worked hard and saved for my dream. Over time my hard work finally paid off and I got my protools set. The set was used so it didn’t work the best. After I started recording with some unsigned and underground Long Island artists. I knew that I wanted to start a career in audio engineering. Here’s where my love for spinning records came in. I was at a club one night, out with a few friends and the club was 3 floors. Watching everyone dancing and the way these DJs had the crowd going absolutely crazy over the songs they were spinning records on EVERY floor just had me hooked. I had to know how to do that, so for the past year and a half, I have been grinding out teaching myself how to DJ. A year and few months went by, I started my own mobile DJ Company called Party Tunes Entertainment and production company called Research Productions. Also I started to attend the number one media school on the east coast Full Sail University to peruse my bachelor’s degree in Music Production & Science. During that time I have spun and promoted for some of the hottest clubs and bars on Long Island such as Dublin Down, Oragin, Bliss, Tommy’s Place, Whitehouse, The Catch, Mulchay’s, The Garage, GLO, Crazy Donkey, Bianco and Four. Along with working with the worlds number one downloaded mixtape website in the world coast 2 coast mixtapes.com and expanding my photoshop skills by doing mixtape cover designs. I have been Producing my own hip-hop mix tapes from some of the hottest Hip-Hop, R&B, Reggae, Dance and other genres out right now as well as building my network of signed, unsigned & underground hip hop & rap artists in the industry such as Tha Kid Jae, Jay Starr, Chopper Young City, Tone Trump, Dipset, Freekey Zeky, Big T, Sean Mcgee, Charlie Clips, Nappy Boy Tay Dizm, illaj, Jackie O, A.B. Green, S.Fresh, Dru Chris,Chelsea Lynn, J-mill, E-Ness and many others. 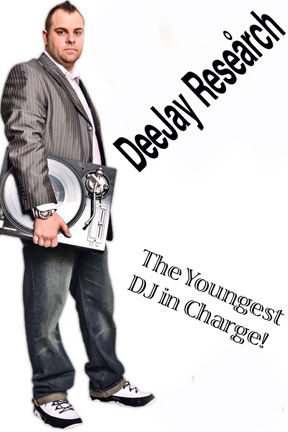 In late July 2010 I got recruited by YDJIC (Youngest DJ’s In Charge) the Hottest DJ team on Long Island and NYC. I would say this is the turning point in my career being apart of the YDJIC family that just rocks the crowd every where we spin. Being apart of a team that shares a common goal and interest in turntableism is just something else great experience were more than DJ’s were family. Check out my monthly mixtapes you can download. I thank everyone for there on going support in me to try to reach my goals without their encouragement none of this would have ever happened in my life. For that I am grateful. YDJIC For Life!